Review the articles of incorporation. The articles that were filed with the state of North Carolina may provide that a director may be removed only "for cause" or have other limitations about when and how a director may be removed. Check the nonprofit's bylaws. Like the articles of incorporation, the bylaws may specify the rules for removing a director. This may include a minimum number of votes, or circumstances under which a director will be automatically removed. Review records to determine how the member was added to the board. Depending on whether the board member was voted in my the board, or appointed by a director, there are different rules for how to remove the member. 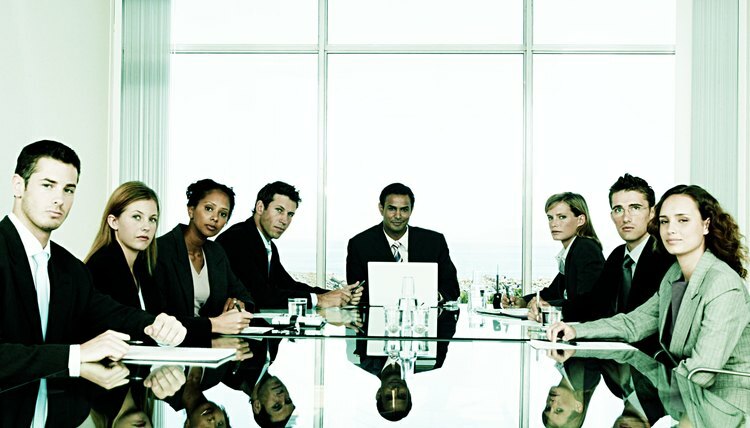 Meet with the board of directors and explain why you want to remove the board member. In most cases, it will be up to the board to determine if a member should be removed. State your case and list specific reasons why you believe the board should act. Vote to remove the board member. Unless the bylaws or articles specify otherwise, a board member who was voted in by the board may also be voted out by the board. Generally, there must be a majority vote to remove the member. Ask the appointing director to remove the member. If the member was appointed to the board position, only the appointing director may remove the member, unless otherwise specified in the articles of organization or the bylaws. Explain your reasons for removal to the appointing director. Petition your local court to remove the director. If you do not have a majority vote of the board, and the board member has committed fraud or grossly abused his authority, the court may remove the member. You must have at least 10 percent of the votes of the board. File a petition for removal in the county where the nonprofit organization is located. Contact your county clerk for the appropriate forms. Record the decision by the board. The board secretary should maintain minutes of all decisions of the board, including any votes for or against the removal of a board member. Update your bylaws. After completing the statutory steps for board member removal, some organizations may prefer to amend their bylaws to simplify the process. For example, you could update your bylaws to provide that members only serve for one-year terms. Amending bylaws requires a majority vote by the board. Whether your company is for-profit or a nonprofit, chances are there will come a time when you will want to amend its bylaws, the internal guidelines and procedures that govern its operation. Following the proper amendment procedures is essential to adopting and later enforcing changes to this important corporate document.